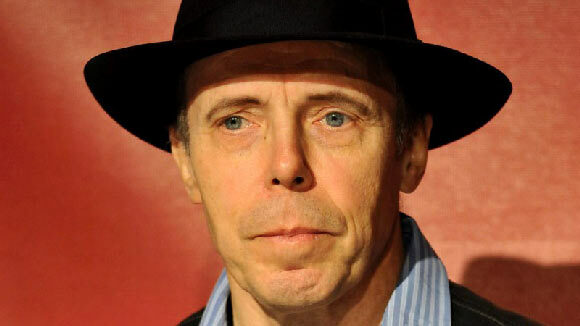 Gunther von Hagens is a German doctor and anatomist whose claim to fame is the invention of ” plastination” which is a scientific method of preserving living beings after they are dead. Hagens birth name was Gunther Gerhard Liebchen and he was born in Poland. At a very young age, he moved to East Germany with his family in order to escape Soviet persecution. He was a sickly child and often had to spend months in the hospital being treated for a blood disorder called haemophilia. He was even on the verge of death once and had to be put in intensive care for months. However, having spent a large amount of time in hospitals, he started to notice and appreciate the way things worked and this largely influenced his decision to study medicine. Subsequently, in 1965, Hagens enrolled at the University of Jena to study medicine. Here he became interested in politics, and started to question the communist agenda that they’d been taught. He was involved in student protests against the invasion of Czechoslovakia and attempted to cross the border into Austria while in disguise. He was caught, arrested and put in jail for two years. Eventually the government of East Germany managed to free him, after which he continued his studies and graduated from University of Heidelberg in 1975, where he also worked as a lecturer in anatomy and pathology for 22 years. Hagens invented the plastination technique in 1977 and patented it in 1978. This is a process used to preserve a human or animal body which had never been done in its entirety before. The process of plastination is carried out by extracting all bodily fluids and then replacing them in the body after adding an elasticity enhancing agent such as silicone or rubber. The bodies are then placed in the required position and using heat and gases, it is made rigid. Initially it was used to preserve small body parts but with the advancement of technology, it soon came to be used for preservation of the entire body. It is a very time consuming process with each body taking up to 1500 man hours. Dr. Hagens first formed a company called Biodur Products that specialized in preserving human organs to supply to universities that seemed to always have a shortage and found it difficult to instruct medical students. However, he then decided to exhibit preserved bodies to the public in a series of exhibitions that came to be known as “Body Worlds” . The first exhibition was held in Japan in 1995 and it received an overwhelming response – more than 400,000 visitors in two months. Since then there have been numerous exhibitions in Asia, Africa, North America and Europe that have been visited by an approximate 38 million people. Although Dr. Hagens has been succeeen a lot of controversy surrounding his work. Many doctors, scientists and sociologists have criticized his work as being a sensational money making endeavor with little science behind it. He has had to cancel some of his exhibitions due to objections by people or special interest groups. He has made many television appearances and is a guest lecturer at several universities worldwide, including University of Dalian in China and New York University College of Dentistry. Dr. Hagens is married to Angela Whalley, who also serves as his business manager. He was previously married to a classmate, Cornelia von Hagens and has three children with her. He also adopted her surname and retained it even after the divorce. He has been diagnosed with Parkinson’s disease and has donated his body to the Body World’s exhibition – it will be plastinated by his wife Angela and displayed after his death. He will also donate some parts of his body to several universities worldwide so they can use it for teaching purposes.